Billet aluminum round mirror with post mount. 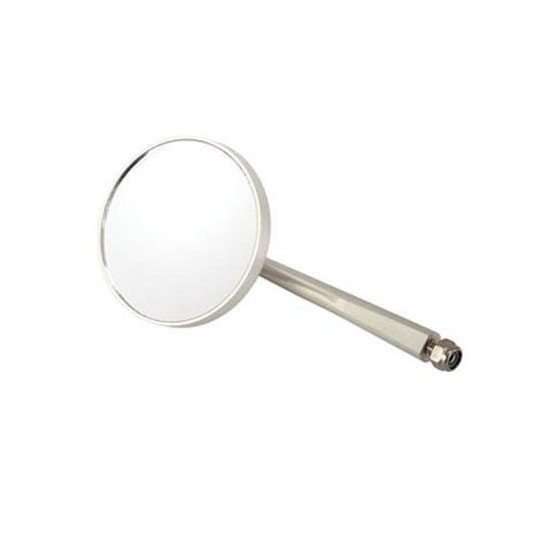 Mirror is 3" diameter with 5-1/2" arm. Reversible left or right. Mount base is 1/2" bottom-to-top, 3/8" front-to-back with a 1/4" x 20 thread stud. Nylock nut included.